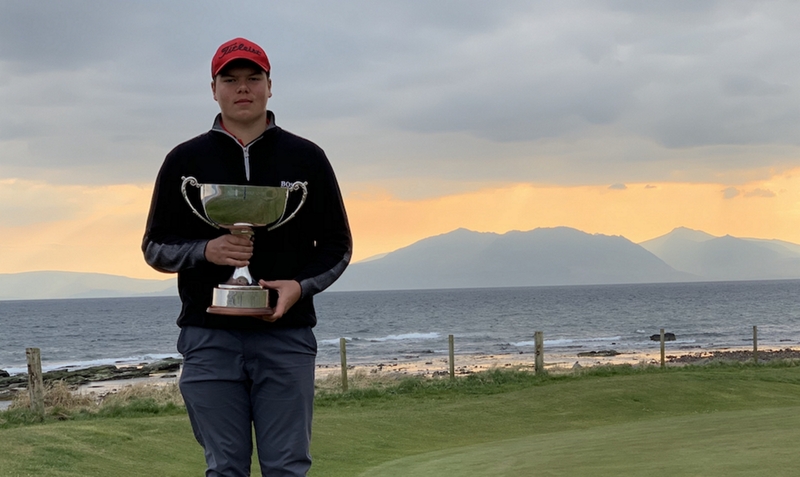 Welsh golfer James Ashfield was crowned 2019 Scottish Boys’ Open Champion after a dramatic finish on the links at West Kilbride. The Delamere Forest player won by two shots after coming from behind to finish on seven-under-par, posting rounds of 69, 69, 69 and 70. Ireland’s Eoin Sulivan had looked to be in control after carding a four-under-par 67 to take a one-shot lead into his final round, then going three-under-par through three holes in his closing 18. As the temperature dropped and wind picked up, Sullivan was unable to capitalise on his advantage over the field and a seven-over-par back nine put an end to the Irishman’s chances of victory in Ayrshire. Holding his nerve down the stretch, Ashfield continued to make important putts and, with only four bogeys on his card all week, consistency was the key to his success. There was a strong Wales performance with Llandudno (Maesdu) player Reuben Bather tied fifth, three shots back, while Wrexham’s Matthew Sandoz was 13th. 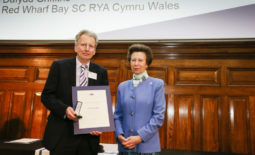 Tom Peet, Pyle and Kenfig, amd Abe Forsyth, Haverfordwest, also made the cut. Talking to Scottish Golf after the exciting finish, Ashfield admitted it was a nervy ending to his time in Ayrshire, “I was a bit shaky. I wasn’t quite sure what was going on down the stretch, but I knew I had a chance. Ashfield, who had expected tougher weather conditions this week, was full of praise for the team at West Kilbride, adding: “The course has been in really good condition given how early we are in the season. Wales Golf Director of Performance Gillian O’Leary added, “This is a fantastic win for James, along with some other strong performances by Wales players. “Players on our programmes have worked really hard with the entire Wales Golf Performance Team over the winter and that is showing in some strong early season results.“This win for James, follows on from Wales Girls winning the team event at the Irish Girls, with Ffion Tynan finishing second in the individual, and Aled Greville winning the R&A Foundation Scholars Tournament in St Andrew’s. 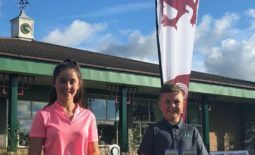 It also follows Archie Davies winning the Irish Boys and Ffion winning the Scottish Girls last season which shows that Wales players have the belief and talent to win big international tournaments. For a full list of results from this year’s Scottish Boys’ Open, please click here. 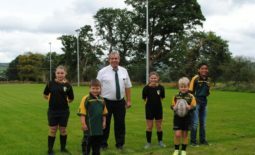 £100k funding package sees the creation of a new floodlit rugby pitch at Nant Conwy RFC!